It is with humble acceptance of God’s will that we announce the sudden demise of James Besalel Owiti wuod Koyo that occured on Monday the 28th of May, 2018. Loving husband to the late Monica Achieng and Jael Atieno of Asembo, Kanyigoro. 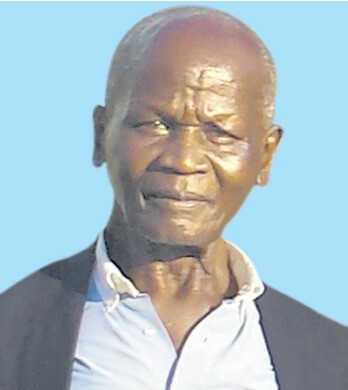 Son of the late Nicodemo Koyo of Karachuonyo, Kanyaluo, Kowuor. Loving father to John, Dan, Teresa, Judy, Nick, Liz, Mary, Davinci, Mercy, Colleta and Joshua. Brother to the late Elly, the late Bolo, the late Tabitha, the late Okello, Dinah, the late Nyajwaya, the late Deborah. Grandfather to many young ones. Family, friends and well-wishers are meeting daily at his home in Kanyaluo, Kowuor for prayers. The cortege leaves Agha Khan Funeral Home on Friday 15th June 2018 at 12. 30p.m for his home. A prayer service will be held on 16th June, 2018 at Ong'ang village. The burial will be on 17th June 2018 at his home in Karachuonyo, Kanyaluo, Kowuor, Homabay County. Fare thee well Owiti wuod Koyo.